Magnification: 3x. Objective lens diameter: 25mm. Accessories: LED flashlight, chain. Five color choices. These opera glasses represent an achievement of both form and function. The gentle curvature of each eyepiece and the authentic metal finish evoke a distinctly classic feel. Choose just the right color to complement your evening attire or accessories. While they are light and compact enough to easily fit into a small handbag or purse, they have a substantial in-hand feel and are an invaluable optical tool for theater or opera lovers. The optics in these glasses are advanced compared to those of its counterparts. Fully multi-coated glass lenses deliver crisp and vivid views even in the darkness of the theater. Due to its 3x magnification you will be able to see every detail of the performance. Thanks to a central focus you can easily and quickly adjust sharpness. 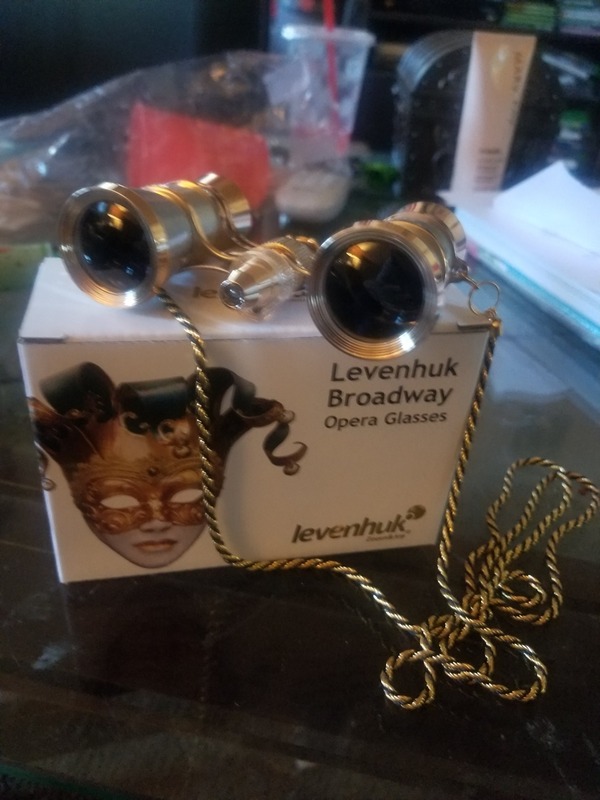 Additionally Levenhuk opera glasses are fitted with an LED light, very helpful in case you need to find your seat in complete darkness. This model has a removable chain so you won't leave them somewhere by chance.